Just who are those "certain parties," Senator? The "Slaughterhouse EB-5" scandal isn't over. Reporter/blogger Bob Mercer came up with an excellent recap of the much-recounted "cash for green cards" affair in last Sunday's Rapid City Journal. In this morning's RCJ, the editorial board noted that it's "bad" that the investigation of the mess by the South Dakota legislature's Government Operations and Audit Committee (GOAC) so far has amounted to government investigating itself. The RCJ editors muse that it might be time for the feds to step in. Actually, the feds, in the form of the FBI have already stepped in. Last October the federal investigators announced that an investigation into the fiasco is "active." Nothing about the matter has surfaced from the agency since, but presumably the federal gumshoes are sorting through this incredibly complicated mixture of events and participants. The federal EB-5 program designed to accelerate the immigration process for foreigners willing to invest sizable ($500k) chunks of money into American enterprises was a lucrative source of cash to its operators in South Dakota, who apparently took the program away from its state overseers and ran it privately for themselves. They subsequently pocketed significant sums of money in the form of fees and charges for their services. Last September the non-partisan Washington, D.C.-based Center for Immigration Studies calculated that $120 million was the amount that South Dakota gave up by letting the operation go private. Just who was responsible and how they let it happen is at the heart of the matter. The poor excuse for an investigation conducted by South Dakota's GOAC didn't turn up much, mainly because it wouldn't exercise its subpoena powers and get the main players to testify under oath in front of the committee. GOAC blamed it all on a dead guy who committed suicide and drew its conclusions after accepting the probably intensely lawyerized written statements from the other main participants, a character named Joop Bollen who engineered the transfer of the program from the State of South Dakota to himself, and Senator-elect Mike Rounds, who was governor at the time the mess cowas occurring. I can't say that I blame South Dakota State Senator Bernie Hunhoff, a Democrat from Yankton, for being frustrated and fed up by the cursory look at the fiasco by GOAC. Mercer quotes Hunhoff and his complaints quite extensively in the RCJ piece, mainly drawing from written statements that Hunhoff made on the heels of the committee's final report. That I agree with Hunhoff on every count doesn't stop me from wondering why Hunhoff made this intriguing comment: ". . . a deeper search might have been too embarrassing for certain parties." Say what? That sounds an awful lot like Hunhoff has "certain parties" in mind and that he possesses some information that would be "embarrassing" to them. I've followed Hunhoff closely enough over the years to know that he's too smart to toss around incendiary remarks like that without being able to back them up. So my questions to the Senator is this? Who are the "certain parties" you alluded to when you made that remark? And what information do you have that "might" be "embarrassing" to them? As this fiasco occurred under the noses of the state's leading Republicans, it's reasonable to conclude that Democrat Hunhoff is playing politics here unless he can attach names and information to his otherwise coy observation. No surprise. When that perennial scold Steve Hickey, the Republican who represents the Sioux Falls area in South Dakota's legislature, blew his top over a plan to build a mega-pawn shop complex in his district it came as "dog bites man" kind of news to me. Hickey is the pastor of a church in Sioux Falls. He makes his moral approbations known whenever he's offended by behavior that he deems unworthy of his moral consent. Last May he promised me that he would never read this blog again during a tirade in my comments section in which he told me that I "have no business quoting the Bible." That rhetorical clash occurred after Hickey made public an unpublished letter to an editor questioning whether South Dakota doctors felt "silenced or intimidated" on the issue of homosexuality. Now Hickey's moral outrage du jour is being directed at South Dakota's payday loan industry. Just as it comes as no surprise that Hickey is apoplectic about the business, there is one whale of a surprise when it comes to his supporters of this assault. Well known Democratic strategist Steve Hildebrand has teamed up with Hickey to push for a ballot initiative that would cap interest rates charged by payday lenders at 36 percent, which essentially would put them out of business. That Hildebrand has a great deal of support from South Dakota's politically liberal community comes across starkly in my good friend Cory Heidelberger's widely followed blog Madville Times. And this, to me, is the big surprise. Everybody knows I'm a Republican of the libertarian stripe, so when my fellow Pubs get worked up about matters like reproductive choice or private sexual behavior I'm usually the odd man out in my party. In general, I have plenty of allies in the Democratic community, with whom I share a fierce allegiance to the principle of free choice when it comes to personal or mutually consensual behavior. Now suddenly it seems the notion of free choice has been abandoned by many of my compadres on the left. Payday lenders have probably been a feature of American life since our country's inception, though before they became an institution in their own right they were known as loan sharks. Like it or not, there's a segment of our communities that form a market for this kind of lending, which indeed charges interest rates well into triple digits. There's nothing pretty about this business. But like abortion, a very un-pretty process indeed, attempts to drive it out of the realm of legally condoned behavior won't eliminate the demand for it. There's a pragmatic as well as a philosophical side to this argument, both of which favor the status quo among those of us who champion free choice. But there's another dimension to this issue, thanks to some irony attached to the pawn shop/amusement venture that set Hickey off. Turns out that its location will be virtually adjacent to the entertainment complex developed with support from the South Dakota-based Premier Bancard credit card behemoth, which deals in a credit card that last year earned the "Lifetime Shame Award" from CBS Moneywatch for its lending and interest rate practices. Why Hickey and his supporters aren't apoplectic about that is their business. To my way of thinking, though, there's some selective outrage going on here and the storefront payday lenders are being singled out for attack. Nobody's a fan of ostensibly usurious lending practices, whether they're dressed up in the veil corporate respectability or tucked away in a strip mall. But there's a certain messiness about democracy that makes it necessary to accept individuals and institutions that often have an unsavory character about them. As they say, it's a free country. People scrambling for cash should have the freedom to make their choices about how to get it legally. I challenge those who oppose payday lending to come up with an alternative that conforms to their moral sensibilities. Addendum (added 12/29 @6:13 a.m.): My commenter posting as Anonymous but signing a "JGH" below included this 2008 piece from the Argus Leader about Brennan and his Dollar Loan Center enterprise in Sioux Falls. Is Rapid City Ready For Prime Time? We should go ahead with the Rushmore Plaza Expansion Project. The existing facility has been around for close to 40 years and is in need of a very expensive overhaul to make it comply with standards imposed by the Americans With Disability Act (ADA). Basically, we're committed to putting $90 million into the current facility just to satisfy the ADA. Now it looks to me like roughly another $100 million gets us a national-class facility. True, the final cost 4 decades hence of up to $400 million seems daunting, but that's the way financing huge projects goes. For example did you buy your house for $100 thousand? I guarantee you'll pay three or more times that much over the life of the mortgage, which is what long-term financing is all about. But the compelling question is, will you get fair value for the out-of-pocket monthly mortgage payments you'll be making for the better part of your adult lifetime? That's really the question that we have to ask ourselves about the Expansion Project. Is it worth the $300-$400 million (depending on the interest rate of the bonds we issue--and remember, we're committed to half of that already thanks to ADA) we'll be shelling out for it over the next 3 decades? Apparently, we've got the cash flow to support something on the order of $12-$15 million a year to pay the thing off, but what we really want to know is if the new facility will give the economy enough of a boost to make it worth the expense. I think it will. Civic center-based events produce significant amounts of money for the Rapid City economy. Consider this: the Lakota Nation Invitational (LNI) just came and went, bringing thousands of people into town for its 3-4 days of activities. It's economic impact? Around $4 million. Then there's the stock show and its hundreds of thousands of attendees--we're talking seriously serious bucks here. Now remember, we already HAVE to spend $90 million or so for ADA-compliance purposes, so our calculations should be based on the return we'll get from the extra $100 million or so that a brand new and much larger facility will cost. I think this is just too good an opportunity to pass up. Sources (sorry, no names, no genders) tell me that the Chamber of Commerce Convention and Visitors Bureau have been saying for years that Rapid City needs space to handle large conventions that want to come here but can't because they want to do everything under one roof. My sources and my common sense tell me that the sales tax dollars gained from these confabs will be huge. My hope is that as the discussion progresses before the public vote on this thing takes place next Spring that some hard economic projections will surface--and if they come anywhere close to what I think they'll be, the return on Rapid City's investment will be impressive indeed. Beyond that, there's a point about marketing the area in general. South Dakota's chronic shortage of skilled and well-educated workers has long been bemoaned by state officials in Pierre, who've been thrashing around for years trying to find ways of getting outstanding people to stay and migrate here. What better way to raise the public's consciousness about our first class entertainment and recreational activities than to have Rapid City highlighted in news and marketing journals because of the activities and events taking place here? This is anecdotal, I know, but a winter doesn't go by that I don't hear from people I know scattered around the country about LNI or the Stock Show. You can't buy this kind of publicity and exposure. The proposed civic center has the potential of being one of the crown jewels of the northern Plains, nestled as it is in one of the great natural and historic centers in the United States. For the few million a year it will cost us on top of what we already have to spend to upgrade the existing facility anyway, it's a risk that we'd be smart to take. In 2012 we had a $163 million budget. Stripping away the annual cost of the ADA-imposed alterations that we have to complete, expansion or no expansion, we have 30 years to finance $100 million, which is manageable and well worth the risk. Note added on 12/26 @9:14 p.m.: Commenter Rick K. below references a study that leads him to conclude that the expansion is a bad idea. Here's the AECOM study. Note the following conclusion at the bottom of page 5 of this study: "A number of comparable facilities have shown that both new arenas that replace obsolete facilities as well as larger, multipurpose indoor venues can successfully attract levels of usage that support facility operations." Re: The Cuban Trade Embargo. Sounds Like Senator Thune Is More A Student Of Polemics Than A Student Of History. Our Senator John Thune has it all wrong on his reluctance to lift the American trade embargo on Cuba. Yesterday he told the Rotary Club in Sioux Falls "that there are conditions that have to be met before I could support [a lifting of the trade embargo]." Political reform is the condition de la conditions that Thune wants to impose on Cuba, presumably waiting for that country to democratize its political system before South Dakotans should expect him to support a lifting of the trade ban, which has been in place since the early 1960s. That the ban itself has had absolutely no effect on Cuba's political condition seems to escape Thune as he promotes his futile quest for change there. This is actually a ridiculous position. For one thing, even as Thune acknowledges, lifting the trade ban would do some economic good for the ag industry in this state, principally soybean farmers and hog producers whose goods will be eagerly consumed by millions of Cubans once they get their hands on them. For another, rejection of a pragmatic consideration in favor of a principle may have some honorable intent, but when the principle itself isn't supported by the reality of History, the intent rings with the hollowness of political dogma. When you consider the advances in living conditions and economic opportunities for billions of people since the evolution of free trade that has been in force since the end of World War II, it seems that Thune lacks an understanding of cause-and-effect. Trade itself has been the medium for the elevation of political and economic freedoms, mainly because ideas and ideals flow just as freely as goods and services when markets open up. Get With It Thune. Cuban Trade Is A Good Deal. Most surprising to me is that Thune, a rock-solid Republican, doesn't seem to get that. The point I'm making about the benefits of free trade is actually pretty standard GOP "boilerplate," often echoed and advanced by The Heritage Foundation. Like most Republicans (Thune apparently being an exception), I just happen to think that free trade benefits both trading parties. 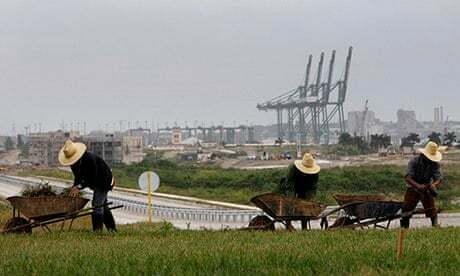 In this case Havana gets access to American goods and services, many of them coming from right here in South Dakota, which helps elevate the standard of living in Cuba and exposes it to an array of American influence, including our foundation philosophies about freedom and equal opportunity. I also happen to believe that by adding to the value of our products because of the increased demand, it invites more investment in and development of our principal resources, in this case our farmland and surrounding communities. So get with it, Senator Thune. Not only is it good enough for South Dakota--it's good enough for The Heritage Foundation. If the former isn't a powerful enough force to get you to move, the latter certainly should be. Get off your high horse and support free trade with Cuba. Indentured Servitude Makes A Comeback In South Dakota. There's an amazing lack of astuteness attached to the joint venture just announced by Governor Daugaard and credit card gazillionaire T. Denny Sanford. At $25 million each, the State of South Dakota and Sanford are creating a full-ride scholarship program called Build Dakota that will provide the scholies at SD's tech institutes for 300 students a year. The graduates then have to stay and work in South Dakota for three years or pay back the money they got from the program. As one who's constantly carping about underfunded public education in South Dakota, I think the endeavor has plenty of merit in the sense that everybody's heart is in the right place. The idea is to add to the small and inadequate pool of skilled workers that Governor Daugaard has been lamenting for years. So far his efforts at correcting the situation have gone for naught, a track record that admirably hasn't slowed the Governor's momentum for trying to change the situation. Turning it into a public-private venture with Sanford is more of the same: The intentions are good. 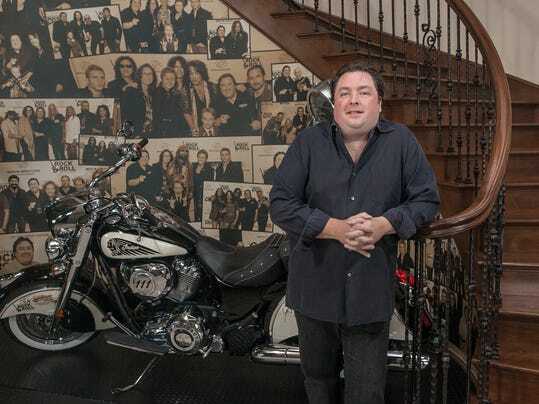 However, consistent with a pattern of willfully ignoring the obvious, Build Dakota will probably be another in a long line of ventures that have had marginal--if any--success. SD Wins, Dakota Roots, Workforce Summits, The Workforce Investment Act itself--none of these have gotten us off the dime of a chronic shortage of skilled workers. Why haven't they? Because our wages in South Dakota stink. Look at the charts. You have to wonder if paying for the training of skilled workers and demanding that they stay here for three years after graduating is all that much of an inducement for those workers who can find better offers for their skills elsewhere. My friend Cory Heidelberger, who continues to prove that his Madville Times is the best political blog in South Dakota, has put some effort into addressing just that concern. Cory provides some invaluable analysis of how workers like solderers, welders, machine setters and others with technical skills would fare if they got their Build Dakota-provided training, then abandoned South Dakota for any one of our surrounding states, forcing them to pay back their scholie money. For the most part, they'd come out ahead after just a few years. Others might not consider a three-year hitch in South Dakota to be such a bad idea anyway. Get free schooling, some job experience, then off they can go to much greener pastures while most likely still in their mid-twenties. A young person bright enough to get a technical education is also bright enough to figure this out. Hoping, as Daugaard does per the Argus-Leader piece I linked above, that these individuals "develop roots, meet a spouse or develop a relationship with an employer that evolves," isn't much of a platform on which to put a $50 million commitment. That sort of investment demands something sturdier than mere "hope" to justify the risk. Sans some hard analysis and data backing up the "hope" part, I think Governor Daugaard is once again setting us up for a fall. Expecting young, well-trained, market-sophisticated people to languish in indentured servitude for 3 years in South Dakota while forsaking much better paying work and long term opportunities elsewhere is not so much a "hope" as it is a prayer. American Indian Movement Should Be Allowed To March In Rapid City On Friday. Adjust The Timing A Bit, But Let Them March. Rapid City Police Chief Karl Jegeris has plenty of plausible reasons for saying "no." His denial of a special events permit for an American Indian Movement (AIM)- sponsored anti-police brutality march on Friday, December 19, has some basis to it. First off, it comes during the opening day of the Lakota Nations Invitational, a tremendously popular multi-tribal sporting event that annually draws thousands of people to town. Secondly, its 3 p.m. start coincides with the dismissal time at Rapid City Central High School. Both the tournament, held at the civic center, and the high school are adjacent to the march route, so you can imagine the congestion and consequent security considerations posed by the event. Adding to Jegeris's concerns is a 2012 march, pictured here, where things apparently got out of hand. In a press release issued by the RCPD yesterday, Jegeris notes: "The same event organizers were involved in the May 2012 March/Rally involving Rapid City Regional Hospital. That event drew hundreds of demonstrators. Although the event was promoted as peaceful, numerous public safety issues arose including; disruption of traffic, obstruction of police, threat to occupy the hospital, threat of arson to the hospital, and other issues that placed the demonstrators, law enforcement, and the general public at risk. This demonstrates the organizers' lack of ability to provide adequate supervision to the event, and demonstrates the great risk that would be posed to the LNI." I commend Jegeris for his forthright commitment to public safety and challenge anyone to brush off his reasonable concerns. But meritorious as those concerns are, they need to be set aside in pursuit of a much greater consideration. We have a Constitutional right to assemble peacefully in this country, and absent any indications or threats that the peaceable nature of the Indian march will be violated by the participants, the march needs to go on. That an earlier demonstration by the same group went awry isn't enough to deny them the right to assemble again. It's certainly enough to make sure that security is tighter than ever, but just as we have a presumption of innocence in our culture, a presumption of peaceful intentions should prevail in the decision-making process regarding this permit. Veterans once staged a march ("the Bonus Army" in 1932) on Washington, D.C., that turned so violent regular Army troops had to be called in to quell the disturbance. But I don't recall anyone afterwards trying to deny veterans the right to assemble because of that violent affair. All Americans should get the same consideration. It does seem reasonable to ask the organizers to adjust their schedule so that the march won't conflict with Central's dismissal. That stretch of Rushmore Road between the school and the LNI event at the civic center is already a madhouse at dismissal time, so working around that situation is about the only adjustment to the request by the Indian marchers that makes sense to me. Outside of that, the local marchers should be given every opportunity to make their point. Without hard, compelling evidence that violence is likely, restraining these affairs in the name of security just goes against the grain of everything the word "freedom" means. Update (posted at 5:17 p.m. 12/18): Rapid City Police this afternoon issued a special events permit to march organizers. Time will be tomorrow (12/19) from 1:00 p.m to 3:00 p.m. at Memorial Park adjacent to the Civic Center. Mike Rounds Hires A Public Relations Pro From The American-Israel Lobby To Be His Legislative Director. They're Fist-Bumping In Tel Aviv. It was neither subtle nor underhanded, just standard political payback. Senator-elect Mike Rounds announced this week that he has hired Greg Rickman as legislative director. Rickman is a deputy director at the American Israel Public Affairs Committee. That Rounds should seek out a top aide from one of Israel's major lobbying enterprises in the United States squares with the Senator-elect's early efforts at wooing support from Israel and its political forces in this country. In May, 2013, Rounds took a much ballyhooed trip to Israel. Apparently disdaining a similar trip to any Arab nations in the region, his campaign announced the visit with much fanfare and glee, even calling attention to an approving nod from Brian Goldberg, a professor at Los Angeles' Jewish American University. Said the prof, "building a connection to Israel could have political benefits for Rounds." Looks like Goldberg got it right. The Arab cause-friendly Washington Report On Middle East Affairs, noted last August that Rounds received $7500.00 from "pro-Israel PACs" while Democratic opponent Rick Weiland received nothing. Additionally, The Jewish Link Of Bergen County confirms** WRMEA's report that Rounds in August 2013 attended a "pro-Israel event in New Jersey" where he "stated that Jerusalem should be officially recognized as the capital of Israel." That's pretty incendiary stuff, actually, but comes as no surprise, especially considering the Pew research graphics above, which show strong support for Israel among Americans generally, and overwhelmingly strong support among Republicans specifically. Rounds seems consistent with his party's collective political inclination. I can't find any numbers as to how South Dakotans shake out on this, but given the redness of our state's political cast, I'd guess that we could be considered largely sympathetic to Israel. Informed readers, please don't hesitate to correct me with survey numbers I haven't been able to find. Why Rounds felt it was so necessary to make a strong show of support for Israel as early-on as he did makes only marginal political sense. He was pretty much seen as a shoo-in back then and there was no need to go trolling for support from a special interest group that is so redolent of political and emotional controversy. Heck, one of my readers, with some rage and denotative support, calls Greg Rickman "a pro-Israel propagandist." More hard feelings are sure to surface, considering that the issue of one power occupying the historic lands of another is such a sensitive matter in South Dakota. At this point, the toughest part for us Rounds constituents is knowing if his positions on Middle Eastern issues are free from political commitments or driven by them. With Rickman functioning as legislative director, it's hard to see how any of Rounds' votes on Middle Eastern issues won't be pre-ordained. **You might have to type "Mike Rounds Norpac" into the search box of the link for the full story on Rounds' attendance at the affair. 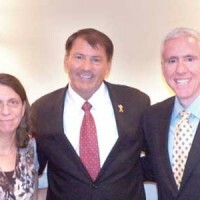 Just in case the story drops off the paper's website altogether, here's the full text, which included the picture of Rounds and his hosts posted above: "Teaneck—On August 26th NORPAC hosted a Q&A pro-Israel event with former South Dakota Governor Mike Rounds at the home of Drs. Mort & Esther Fridman in Teaneck. Rounds, who served for eight years as Governor after five terms as a State Senator, is currently running for the open U.S. Senate seat of retiring Senator Tim Johnson (D-SD). Having recently completed a trip to Israel with his wife and State Senator Stan Adelstein, Governor Rounds said to the gathering in Teaneck that “[Israel] is a Holy Land where the holiest of men walked and our allies remain. It must be defended, secured, and supported.” His visit reaffirmed his belief that U.S. aid to Israel and supporting her against hostile nations is critical to our nation’s foreign policy. He further stated that Jerusalem should be officially recognized as the capital of Israel and that the administration should comply with the Jerusalem Embassy Act of 1995 which would relocate the U.S. Embassy to Israel’s capital." South Dakota Right To Lifers Just Planted One Of Their Own In SD Democratic Party Leadership. Never thought I'd live to see the day. The South Dakota Democratic Party today elected anti-choice advocate Ann Tornberg to head it up as Chairwoman. Tornberg currently chairs the Union County Democrats and has waged three losing election campaigns: She was beaten by 12 points in a state Senate race last month, captured 26% of the vote in a 4-way race for the state House in 2012 and 30% of the vote in a 3-way House race in 2010. All 3 races were won by Republicans, no great shame in this reddest of red states. And though the losses bespeak of an admirable tenacity, I really have to wonder about her judgement--not to mention that of her party's faithful. Forgetting about her position on reproductive rights for a moment, consider her statement announcing her intention to run for party chair a few weeks ago: "Our state party has made a lot of progress over the last four years, but we're still not seeing results at the ballot box. I want to help change that." Our party has made a lot of progress over the last four years? There's an amiable optimism to her outlook, as bright and cheery as her million-dollar smile . . . but . . . as even Tornberg acknowledges, the proof eluded the pudding of last November's stunning Democratic Party wipeout in South Dakota. This is supposed to represent "progress?" 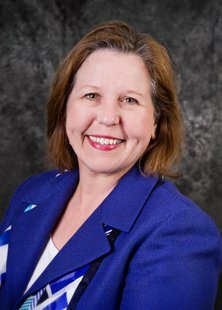 I'm wondering if party regulars who were in on the vote for Tornberg are still so dazed from that debacle that they think a Chairwoman who has a streak of Republican Party anti-choice dogma in her is the way to present themselves to the dominating hordes of Republicans in this state. Is this political "Stockholm syndrome?" Tornberg's stance on reproductive rights is forthright and unequivocal. In its 2014 guide, SD's Right To Life quoted her as saying, "I am pro-life and pro-child." This year she was also designated as "anti-choice" by the National Abortion Rights Action League. No doubt South Dakota has a fair number of "anti-choice" Democrats who will have no problem with Tornberg's selection as their party's chair. But the state as a whole, even with its strong Republican tilt, has rejected abortion bans at the polls, most recently in 2008 by an 11 point margin. More pertinent to the practical politics of the situation, polls traditionally show that young voters (18-34) strongly favor abortion rights. I believe SD Dems will now run the risk of putting a serious damper on the enthusiasm of their younger stalwarts. Now that Governor Daugaard has conceded that South Dakota's economy won't even come close to living up to his expectations last Winter, he should consider a rather obvious elixir that could take up some of the slackness that has materialized. 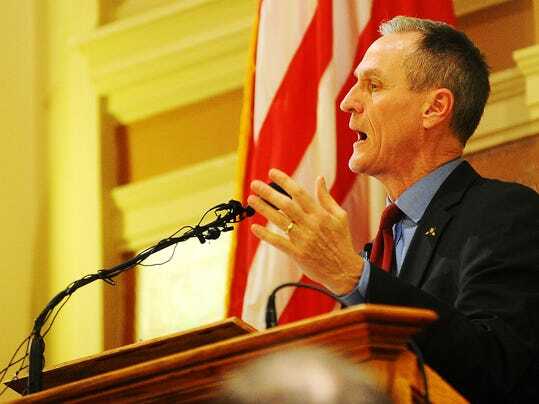 The chastened tone of Daugaard's budget address last week was palpable. He presented an economic forecast for the next budget year that fell substantially below the expectations he built up during his State of the State address last January. Daugaard's pessimism comes across graphically in a recently-released forecast by SD's Bureau of Finance and Management. The report's conclusion that SD's 2015 growth rate won't even match what it was prior to the "great recession" is news that calls for some aggressive thinking about ways to get our state's economy back on track. Given Daugaard's cautiously reactive tone when discussing the upcoming budget, I wondered why our Governor couldn't be a bit more pro-active in his approach to energizing the economy. Daugaard is either overlooking or ignoring an obvious boost to our near-static growth rates--Medicaid expansion. It's a part of the Affordable Care Act that provides money to states for Medicaid coverage for folks who don't qualify for either existing Medicaid or conventional healthcare coverage via ACA subsidies. In South Dakota that number seems to be around 25,000, per a study by the non-partisan, non-profit South Dakota Budget and Policy Institute. SDBPI's research notes that, yes, there will be additional costs to the State of South Dakota as part of the deal for accepting federal Medicaid money to cover those 25,000 South Dakotans. And yes, the federal government's share declines every year until 2019 to the point where South Dakota's ongoing contribution will be 10% of the cost of expanded Medicaid. But consider the total outlays by SD through 2022 vs. the revenues from the federal government: SD pays out $157 million and gets back $2.1 billion, yes billion with a "b." Are we as a state too stupid to grasp what a good deal this is? Though some believe that the ACA is eventually going to be legislated out of existence, that's a political pipe-dream. It's here to stay. You might as well get used to it. And even if the fantasy of its demise were to come true, the worst case scenario is that we just go back to the bad old way of doing things. And more to the point, if South Dakota decides to ditch the plan altogether, it can choose to "un-expand." As the SDBPI report notes, the decision is always open to revision by South Dakota. These numbers bear serious consideration by our elected officials, especially now that a softening economy is suddenly beset by unexpected demands for road improvements, to the tune of $500 million. Until now, Medicaid expansion has been summarily dismissed by Daugaard and the state's GOP-dominated legislature. Until now, the state's economy has been moving along briskly enough to ignore the financial potential of expansion. Until now, politics, not economics, has been the driving force of the discussion. So what about now? Time for some serious reconsideration. News Flash! Azarga (nee Powertech) Uranium Thinks Uranium Prices Will Double . . .As for Rest Of The Trade? Mmm, Not Quite So Sure. Azarga Uranium Corporation (used to be called Powertech, but since a merger will be called Azarga going forward) thinks the price of uranium will double in the near term, say, the next few years. Azarga is the company that is seeking permits to forever alter the groundwater in parts of South Dakota's Black Hills by drilling holes into the ground, injecting chemicals into the water down there, pumping it up to the surface, removing the uranium content from the liquid, then pouring the used water back into its natural formations, forever changed in composition by the procedure. Some say the process is perfectly safe, others say its dangerous, I say don't take a chance. So far the undertaking has been delayed by a well-coordinated, fiercely protective organization of local residents, causing the permitting stage to stretch out for years. Yay, is what I say. Meantime the corporate honchos at Azarga, located mainly in Hong Kong but with a significant financial presence coming from Singapore via a dubious outfit called Blumont Mining, have a stock whose price needs to be nurtured. Currently trading on the Toronto Stock Exchange at 39 cents/share, Azarga (AZZ.TO) has lost about 90% of its value in the last few years (most of that time it was known as Powertech). Looking at the chart above you can see how the uranium market has fallen precipitously in the past few years. 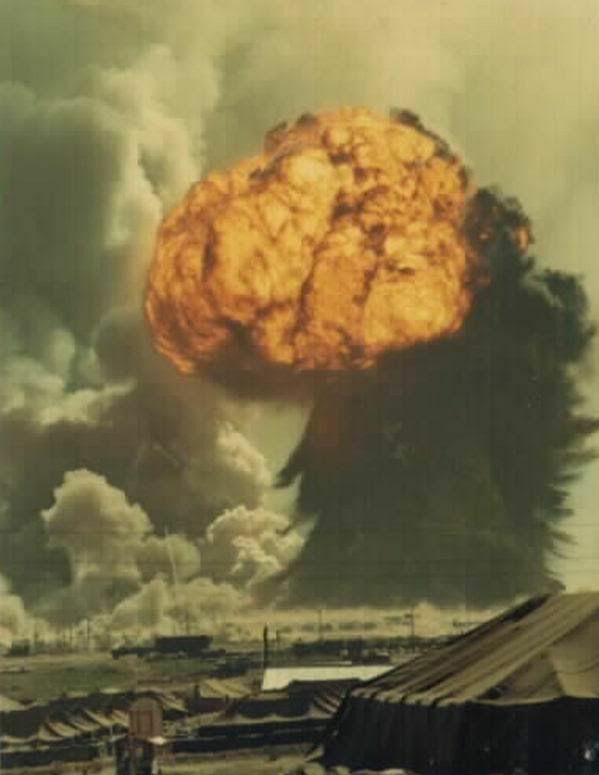 If you think the drop was created by the Fukushima nuclear reactor disaster in 2011, look again. Uranium peaked in '07, then made a feeble comeback in 2011, only to be smacked back down by Fukushima that same year. was on Bloomberg a few weeks ago touting uranium, claiming the price will double in a few years. Positive forecasts on financial media can have a market-moving effect on stock prices. In this case, not much happened, as the stock has since traded in a range of a few pennies since Molyneaux's bullish utterance. Why the market indifference? Probably because everybody else that has anything to do with uranium isn't particularly excited about its price prospects. A piece in the South China Morning Post (east Asia is where uranium markets are centered and most actively traded and followed) a couple of days ago notes that spot (current) prices for uranium are too low to encourage new mines. The piece argues that $60/lb is the threshold price for new mines to begin operating, well above the current $39 level. The article also argues that global supply will exceed demand well into the next decade, a contention supported by the fact that uranium mines around the world have shut down in recent years, as the Post reports. My take is that if the uranium market does improve substantially in coming years, existing dormant mines will be re-started, adding to the supply without having to absorb all the start-up costs that could financially hobble a new supplier like Azarga. In the face of all this, Molyneaux claims the Black Hills mine will be up and running by 2016--a start up date that he's pushed back several times in recent years. Considering all the supply/demand fundamentals in the uranium market, all I can say is: good luck with that. South Dakota Takes A Pass On $600 Million A Year In Sales Taxes. A Lot Of These Exemptions Range From Outdated To Outrageous. South Dakota really, really needs to look at how much revenue it passes up in the way of sales tax exemptions. Last year the Department of Revenue totted them up and came up with a total of $582 million in potential tax receipts that are lost to the state from a wide variety of businesses that are exempted from paying the 4% state sales tax. That's a huge amount of money in a state where the total state budget approaches $4 billion, about $2 billion of which comes from state revenues, the rest coming from the Feds. I wonder how many of our elected officials in Pierre have heeded this note in the report I linked? According to State Revenue Director Andy Gerlach, "Tax exemptions are an important component of South Dakota tax policies. However, exemptions always come with a cost. Exemptions reduce revenues otherwise available for programs, education, and other services for our citizens. Therefore it is critical that policymakers understand both the costs of exemptions and their effectiveness at achieving their intended goal." Get that, state officials? Exemptions come with a cost. It really is long past time to take a hard look, line by line, industry by industry, at every one of these exemptions and ask ourselves if the limited amount of money available for state and local programs is a reasonable trade off for giving numerous special-interests in this state a pass on paying sales taxes. The eye catcher for me is the "agriculture group," which gets about a $220 million break in sales taxes. That sounds like a lot, but when you consider that farm income in this state in 2012 was around $10 billion, that number doesn't seem particularly daunting. It represents about 2% of the ag community's annual take. This break (I'm surmising, correct me if I'm wrong) probably dates back to the days when farming was a family-by-family affair and those small time, incredibly hard-working folks tilled the soil and kept their livestock without much support from the federal government. They deserved this break during an era when survival was a crop-year to crop-year crapshoot. Ag economics are altogether different these days, with all sorts of risk amelioration opportunities abounding throughout the industry. Other businesses that share similar levels of market risk have to pay sales tax on their inputs and maintenance. Why shouldn't farmers? If you go through some of the other exempted groups, you'll get even more frustrated, especially if your business isn't one of them. Add to the frustration that Governor Daugaard pointedly notes that his budgets can't spend money the state doesn't have, then doesn't lift a finger to see if there might be some untapped potential revenues in this list of exemptions that seem to go on in perpetuity without, as far as I recall, ever being called into question, much less revoked. So we go on crying poor when it comes to funding education and suddenly find ourselves scrambling to come up with half-a-billion bucks to repair our insufficiently tended roads. I challenge the Governor to appoint a committee that's dedicated to doing a line-by-line analysis of the exemptions list and produce some economic justification for each one of those tax breaks. Daugaard's January Joy Turns Into December Despair. December '14--Things aren't so great. Governor Dennis Daugaard's State of the State address last January was brimming with smugness. Its self-laudatory tone included phrases like: "We succeed and excel;" "Objective outsiders have recognized our state for excellence;" "Best business climate;" "Lowest cost of living in the nation;" "Personal income growth is among the highest in the nation;" "Our strengthening economy;" "We can be proud of our success in many areas;" . . . it goes on. 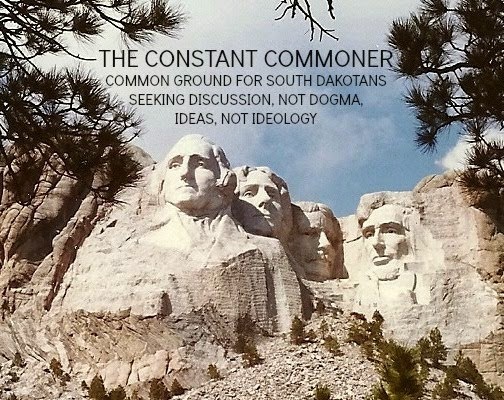 I doubt that the Chamber of Commerce could have written a more enthusiastic puff piece for the State of South Dakota, which Governor Daugaard obligingly delivered with the positive gusto necessary at the beginning of an election year. Given his smashing victory over the hapless Democratic candidate Susan Wismer, Daugaard's over-the-top summation of our state as a latter day economic utopia didn't really have to go that far overboard. He'd have won going away without all the rhetorical histrionics. And now that the year is closing out, he might've saved himself the awkwardness of explaining that things haven't quite turned out as well as he expected. Among other disappointments, his administration's projections for economic growth included some startling writedowns. Employment growth, non-farm income, housing starts--they were all slashed substantially from expectations. These were all laid out in a rather glum recitation of his failed suppositions during Daugaard's budget address a couple of days ago. Most tellingly for our state's budget next year, sales tax growth was below forecasts, which means some unexpected belt-tightening is in the works. Daugaard doled out the news without explaining why his unabashed optimism and his administration's subsequent projections weren't confirmed by reality. All this is especially concerning, considering that national growth rates far outpace those in our state that "succeeds and excels." For example, this year's 1.2% job growth rate in SD is less than half that of the United States as a whole. Not real consistent with a state that has the "best business climate" in the country, is it? Probably the one most bothersome contrast between Daugaard's puff piece last January and an expensively looming reality this December is the one about our road conditions. Last January Daugaard said, "South Dakota's 8,000 miles of paved state highways rank a 4.4 out of 5 for quality and our state bridges rank 91 on a 100-point scale." I don't know what "ranking" Daugaard was using at the time, but now that the subject has come up, I note that Daugaard's self-assuredness doesn't square with reality. In 2013, the American Society of Civil Engineers put out a South Dakota "scorecard" that said 20% of our bridges are "structurally deficient" and that 61% of our roads are in "poor or mediocre" condition. Meantime, we find out a few weeks ago that we're facing a nearly half billion dollar road repair bill in this state. So where's the optimisim about our road conditions now, Governor? I understand that economic projecting is as much an art as it is a science, but I believe that Governor Daugaard owes us some explanations about this much of a miss, especially as it contrasts so glaringly against national economic growth patterns. What we spend on education in this state is just plain deplorable. Not only are we among the bottom 10 states in per pupil spending (according to the Census Bureau), consider this: we’re not even close to Iowa, which spends the least of all the states bordering South Dakota. At $10 thousand/pupil, Iowa ranks 27th in the country. At South Dakota’s measly $8.4 thousand/pupil, we rank 41st. Meantime Wyoming spends an astounding $16 thousand/pupil, nearly twice what we do here in the land of infinite penuriousness. Disappointingly, yesterday’s budget address by Governor Daugaard, upping education expenditures by 2%, won’t improve those numbers. Based on them, it should come as no surprise that we rank last in the country in teacher salaries. More problematically, South Dakota’s glaring indifference to its lowly position in student spending and achievement (this year Education Week ranks us 42nd in K-12 achievement, while our surrounding neighbors are at least one quintile higher, with Minnesota ranking in the top ten--see page 7 of the link) must pose a barrier to individuals seeking a high-quality home for themselves and their families. That’s why I believe there’s some serious economic and sociological spillover to consider. Per a Drexel University study (using Census Bureau data) on South Dakota labor markets released this year, our state during the past several years has been a net importer of migrants with high school diplomas and less, a net exporter of those with bachelor’s degrees and more, to the tune of about a 6% differential in both cases. You can see why there is good reason for Governor Daugaard to have made 2014 a year in which he vowed to address our chronic skilled and educated workforce shortage. His highly touted “workforce summits” attempted to come up with some ideas to alleviate the situation, but it seems that Daugaard has been overlooking the obvious, at least on the quality-of-life front. Our schools just don’t measure up, at leastin toto. This week Governor Daugaard began addressing this issue again. Yesterday he unfortunately failed to connect the dots between a great education system and a great workforce. In fact, the Governor’s proposed 2% increase in school spending actually fell short of last year’s, which was 3%. While it’s true that the state’s 30% share of per-pupil spending means that Daugaard’s best efforts at increasing state support won’t be enough to get South Dakota into competitive balance with our neighbors, we should expect more from the Governor, both in money and leadership. We need a commitment from Daugaard to lead by example, i.e. more money, and from his pulpit, i.e., more urgency. His response to the state’s labor shortage were those highly publicized “workforce summits” of 2014, which I believe will prove to be of marginal value. I’d have much more faith in the success of a series of “education summits” as a solution to that problem. Why? Because I think a world-class education system is the best way to keep and get skilled and educated workers and their families into this state. Our neighbors in Minnesota have that one figured out. Why haven’t we? Re: Slaughterhouse EB-5--The Dead Guy Did It. So Says A South Dakota Legislative Committee, Anyway. Meantime, I think now's the time to press SD Attorney General Marty Jackley to release Richard Benda's autopsy report. Richard Benda is the dead guy who also just happens to be the fall guy in the drawn-out "cash for green cards" EB-5 scandal that is being "actively" investigated by the FBI. The scandal also went through a rather lame, recently completed analysis by the South Dakota State Legislature's Government Operations and Audit Committee (GOAC), which just issued its findings and basically concluded that the late Richard Benda, the former state official who killed himself about a year ago, was responsible for the whole mess. And just how does Attorney General Jackley fit into all this? It's Jackley who has been withholding Benda's autopsy report on the grounds that its release would conflict with the Benda family's right to privacy. I strongly disagree (on the public's-right-to-know grounds) with Jackley's position on this, which has been upheld in the courts. But now, given his tossed-under-the-bus status, I have to wonder if Benda's family, already traumatized by his suicide, isn't suffering another wave of unbearable pain as it watches him trashed by the South Dakota Legislature. My hope is that if there's any reputation of his worth supporting that Benda's family will accede to the release of the full report, which may contain some information of value to the public even as it potentially diffuses some of the blame for the scandal by including other state officials in its web. As to the lameness of GOAC's conclusions, they are so rife with unchallenged statements and assertions that I'd say the document is effectively worthless. Cory Heidelberger over at The Madville Times, agrees. The MT, which has been consistently doing a yeoman's job of investigating, concluding and commenting on the whole Slaughterhouse EB-5 fiasco, weighs in on the GOAC's report. Heidelberger's point-by-point analysis raises issues that need to be considered before drawing final conclusions about the affair. Considering that the legislative committee seems to regard this as a closed case, we'll have to wait on the FBI's investigation for further clarification. In the meantime, there's still the matter of a whole lot of money that nobody seems to be willing to follow. I've seen estimates ranging as high as $140 million in fees collected from foreign investors in the EB-5 program that could/should have gone to the State of South Dakota but were diverted to privateers who appear to have hijacked the program from the state and collected the money for themselves. Apparently the GOAC has no interest in following this money trail. As the committee is top-heavy with Republicans, under whose legislative and executive watches the events occurred, the few Democrats on the committee have publicly disagreed with the findings and are considering filing a "minority report," a consideration worthy of pursuit.